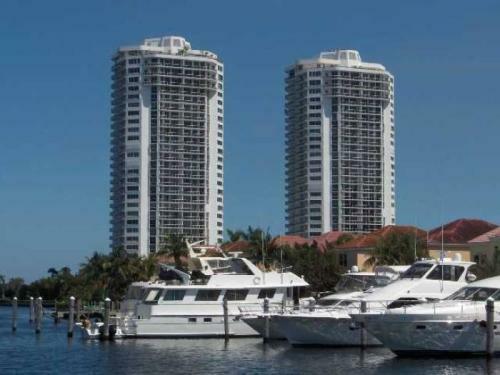 One Island Place condominium offers two towers of condominiums with resort style amenities and incredible views. Built in 1991, this property has undergone extensive renovations and still is a very current and desirable place to call home in Aventura. Each tower has 112 residences and they overlook the exclusive community of Golden Beach, Intracoastal Waterway, and Atlantic Ocean. Amenities include two large swimming pools, tennis courts, fitness center, library, billiards, and 24 hour security for your safety. Aventura is located north of Miami and south of Fort Lauderdale, making a commute to either a twenty minute drive. Within the city of Aventura you have a plethora of shopping and dining opportunities at the Aventura Mall and in the small shopping areas within the city limits. It is sprawling and also has state parks nearby in addition to tennis facilities and golf courses. Both the Miami International Airport and the Fort Lauderdale International Airport make flying domestically and internationally very easy, and there are many residents who choose to have second homes at One Island Place. One Island place is an oasis in South Florida, in the heart of Aventura, and a preferred condominium for the most discerning residents.